We have used many different canvases in the past but now have narrowed it down to three different types that our customers have told us work well for them. Experience has proved that canvases with a bigger weave always work very well with thick textured paintings and the finer synthetic canvases are excellent for finer works like portraits or architectural paintings. 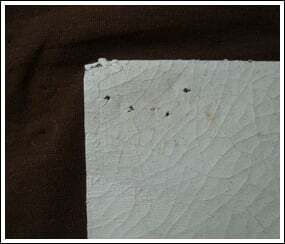 The third sort of canvas we use is our cracked canvas. 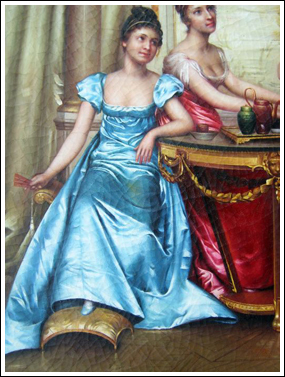 This is usually requested for more renaissance style paintings as they give a more aged / antiqued effect. We can also apply an antique varnish to the canvas which really makes the oil painting feel as if it were stolen right from right out of the museum! In our studios each day you would be likely to cast your eyes upon such a huge variety of different styles, from Renaissance to Cubist; the range may cause your head to spin, leaving your nose where your eyes once were! The range of styles and subjects is one reason why we have more than fifty highly qualified artists in our main studios here, each with a different skill set and specialty. Also, one of the great advantages of working with oil paints is that they are the both flexible and forgiving (certainly compared to watercolors, where a mistake often means starting over!). They can be applied with ease to large scale paintings and they can work wonderfully, achieving the sense of light and luminosity and capturing detail in smaller paintings. We are confident that we can reproduce any painting our customers choose. Some paintings require a photo-realistic finish (although still done entirely by hand) whilst others need to be impressionist of have extremely thick texture. On occasion we even paint using a palette knife. We are therefore able to offer a wide variety – let us know what you want, and we’ll happily paint it! NOTE: Contrary to popular belief, not all oil paintings are thickly textured. Many of the old masters and the world’s most famous paintings are in fact quite flat, with texture only visible upon close inspection. Let us know if you’d like your painting with more visible brushstrokes, of if you want it done in the traditional way. There are many different brands of oil paints on the market. At Ocean’s Bridge we tend to use Winsor & Newton, Rembrandt, Maries and Grumbacher which offer two different grades; Professional or Artist grade. We use Professional grade paints as they are not as diluted with as much filler. Most grades of oil paints are not different in quality to paint with but rather the tint of the paint differs in strength. For convenience we prefer to order our oil paints in tubes and not in jars. In our studios one will find countless jars, cans, bottles and other containers dotted around the different stations were our artists are at work, all stuffed with a variety of different brushes. So why do we need so many different brushes? Well, different styles of painting require different texture and marks that the brushes will leave. At your local art store you will see countless brushes in different sizes and shapes. At Ocean’s Bridge we like to boast that we can paint any kind and any style of oil painting. A Van Gogh painting naturally requires very thick texture and therefore a flat brush with thicker bristles is required. A Michelangelo painting, on the other hand, would require using a very fine round brush and a fan blender that leaves no mark at all. 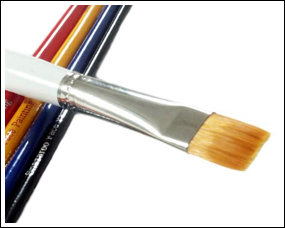 To summarize, a wide selection of brushes is required for the enormous variety of different paintings which are crafted everyday in our studios. 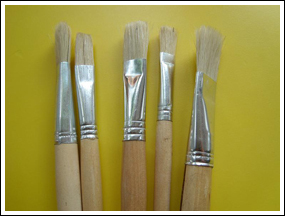 Most of our artists tend to use Hog-bristle brushes, sable or synthetic sable. Nylon brushes are used commonly with acrylic painting and the cheaper brushes that are available are always avoided as they will shed their hair (something I can unfortunately relate to! ).